World War Z : The movie adaptation of The Last of Us? Hello my fellow readers once again, I deeply apologize for my unannounced break, but i am back and i promise to be more consistent with my blogging escapades. During this summer i got the chance to watch a ton of exciting movies and play a couple of interesting games, although it is a little too late for summer movie reviews, you can consult my twitter page @thracian_soul for access to my brief and concise movie reviews. Talking about movies, today’s topic is intriguing because it was something that kept on playing in my head continuously after watching World War Z, while I would say it was a good enough movie to me ridden with cliches and a direct story, I couldn’t shake off the daring resemblance to a similar video game that also came out during the summer i.e. 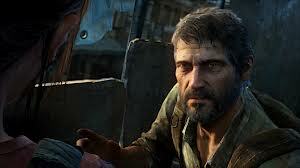 The Last of Us, a highly interactive survival horror game set in a post-apocalyptic zombie infested world, where our protagonist, namely Joel, a gruff middle aged man who really has nothing to lose, escorts a lovable but foul-mouthed teenager named Ellie as they try to get from one destination to another. Now I am going to analyze the basic similarities that stood out to me while watching the Brad Pitt zombie movie, please feel free to add your own opinions. Before you go on, this post is heavily laden with spoilers you have been warned. 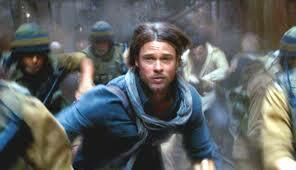 Gerry Lane, our main protagonist from WWZ who is played by the prolific Brad Pitt, is a recently retired UN worker who is spiraled back into his former work due to a zombie outbreak, Gerry’s own motivation is the desire to see his family again. On the other hand, Joel is a bereaved worn out middle aged man who has survived the fungus outbreak for over 20 years , he is well experienced and initially has nothing to lose right until Ellie walks into his life. This is where Joel and Gerry are similar, gruff middle age men with a reluctant attitude but firm motivation. While Gerry is initially reluctant to go on the hobbit-esque journey to find a cure, he is however given an ultimatum, which states that him and his family would be kicked off the survivor ship, this was his primary and only motivation as he sauntered across continents in search of the cure. Joel, on the other hand, didn’t really care about anything other than surviving to see the next day, since he had lost his…. *ahem* *spoiler alert*…daughter. Then he comes across a particular silver lining to his life in shape of a little girl named Ellie, at first they obviously do not get along, probably because Ellie posed as a sharp and bitter reminder of his lost daughter. Eventually, they bonded and she became his primary motivation to carry on with his mission, she became like a family member to him. This is where Gerry and Joel also share certain similarities. Now this was the most similar trait of both media products. IN WWZ, the primary antagonists are the zombies(which by the way could probably outrun you in a heartbeat), they are quick, savage and aggressive. They apparently do not devour their victims, rather they aim to bite them in order to pass on the virus, which seemed to me as though the virus was behaving as a HIVE mind. 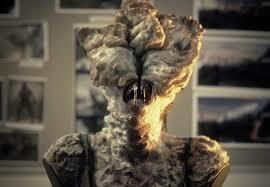 But the vague similarity of the zombies to the Infected in TLoU is their behavioral pattern. The zombies clicked in similar fashion to the fungus headed Clickers from TLoU, posing in a particular position in order to listen to their prey. It seemed to me that the producers of WWZ must have at least had a little innovation from TLoU. Nevertheless, WWZ and TLoU were both good entertainment sources, but i prefer the latter. This is my opinion on the similarities that i noticed in these two media products, what are your own observations, feel free to comment. Before I sign off I would like to know what your favorite zombie movie is. This is the end of this post but I would like to say that I just got the new Rockstar action sandbox game namely Grand Theft Auto V and i have played it for over 6 hours and i would be uploading my first hands-on impression about it next. Till next time. Szia.